This weekend, Yonder Mountain String Band played to a sold-out crowd just down the street from Pike Place Market. And in fact, their opener, Baby Gramps, could have easily passed for a busker from the market, with his gravelly voice and eccentric wardrobe. And while Baby Gramps was nothing if not eccentric, the crowd at the concert might have given him a run for his money. There were plenty of plaid-claid hippies, a few old-timers, and a fair share of stoner kids right out of Dazed and Confused. 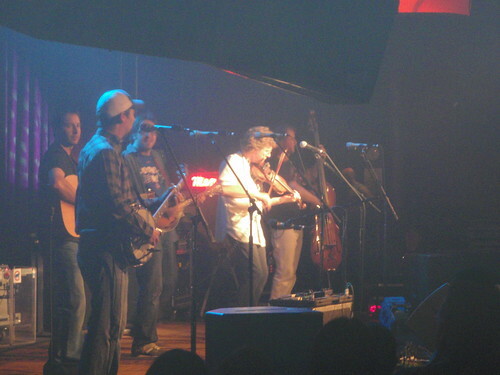 But when Yonder Mountain String Band made their appearance, with Sam Bush playing alongside, every single person in the room couldn’t help but tap their feet to the group’s raucous rhythms. Having now seen Yonder more than any other band (as of this weekend), I wholeheartedly recommend checking them out once- their brand of bluegrass is unlike anything else you’ve ever heard. I was at the show. 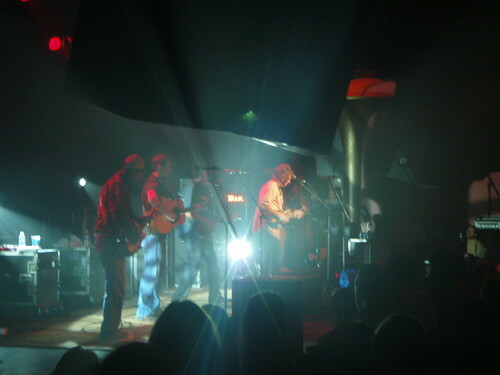 That was my first time seeing Yonder. I’d give them a mixed review. On the one hand they are freakishly talented on their instruments and they definitely can throw down some hoe down. Their "jamgrass" can be VERY fun. On the other hand, the songs are too long and the show was too much about extended improv jams. I KNOW that’s their format, but I still find it tiresome. I’d rather have seen a larger variety of shorter songs with more focus on better and more melodic song structures and harmonizing. Too many 12-minute jams on three-chord progressions. Anyway, I get that’s their thing and I’m glad to have seen them once. Probably won’t see them again. That’s a fair critique. This particular show was a little heavier on the improv jams than previous ones I’ve seen- my table discussed it for quite a while, trying to remember if the other shows we’d seend had been quite so free-form. It was fun, but I agree, it would have been nice to see some shorter songs thrown in there for variety.